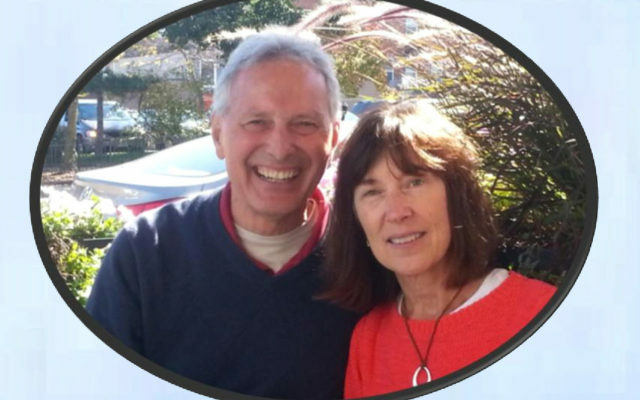 Golden Lotus Yoga for Spiritual Awareness (GLYSA) was founded by Roy E. Thibodeau & Mary Ann Thibodeau in 2011. We have been disciples of Yogacharya J. Oliver Black for over 45 years and GLYSA was founded to assure the continuation our linage, legacy, and heritage through Babaji, Lahiri Mahasaya, Sri Yukteswar, Paramahansa Yogananda, and Yogacharya Oliver. Yogacharya Oliver was one of Paramahansa Yogananda’s most advanced direct disciples, establishing the Detroit, Michigan Self Realization Fellowship (SRF) Center which he ran as an SRF minister from 1951 until 1980. He also established Song of the Morning Yoga Retreat in Northern Michigan which he ran until his MahaSamadhi September 16, 1989. He remained an SRF Minister, Authorized by Paramahansa Yogananda & SRF to give Kriya Yoga Initiation to qualified candidates until his MahaSamadhi. You can find out more about Yogacharya Oliver at www.yogacharyaoliver.com. Because of Yogacharya’s relationship and loyalty to Paramahansa Yogananda & SRF he was never able to authorize any of his disciples to Initiate candidates into Kriya Yoga. Because of this situation and knowing our destiny to continue our Linage through Yogacharya Oliver we persued authorization to perform Kriya Yoga Initiations through the help of Roy Eugene Davis another direct disciple of Paramahansa Yogananda and brother disciple to Yogacharya Oliver. We asked him to ordain us authorizing us to give Kriya Yoga Initiation under Yogacharya Oliver’s authority. Roy graciously agreed and ordained us under Yogacharya Oliver’s authority. Because of that we incorporated two names into the name of our organization. 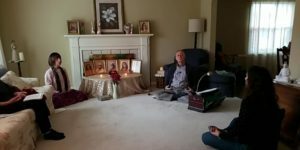 Golden Lotus, Inc, which is the name of the nonprofit corporation that runs Song of the Morning Yoga Retreat, and Spiritual Awareness is part of Roy Eugene Davis’s organization, Center for Spiritual Awareness. 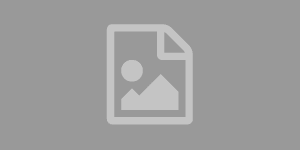 Golden Lotus Yoga Teachers Association is also the name of a Yoga Teachers organization that Yogacharya Oliver started in 1966. Of course our mission, vision, and goal is to first of all to continue our linage through Babaji, Lahiri Mahasaya, Sri Yukteswar, Paramahansa Yogananda, & Yogacharya J. Oliver Black. 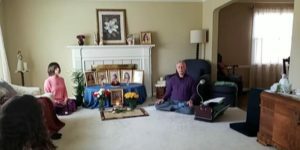 Also to continue to spread the science of Kriya Yoga through Kriya Yoga Initiation and training and extend the linage through a line of trained, ordained ministers authorized to Initiate qualified candidates into Kriya Yoga and train and ordain future ministers to continue our linage into the future. Please Post only positive, uplifting Spiritual Thoughts, News, or Quotes. Preferably something relating to Paramahansa Yogananda, Yogacharya Oliver, and the Babaji Lahiri Mahasaya Linage. Thank!! 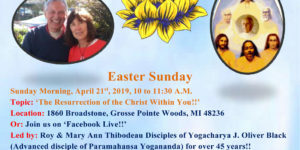 The Resurrection of Christ Within You!Posted by Golden Lotus Yoga for Spiritual Awareness on Sunday, April 21, 2019 Resurrecting the Christ Within You!! Please feel to ask us any questions having anything to do with Yoga, (Hatha Yoga, Raja Yoga, Spiritual Yoga) Spirituality, or any questions concerning our organization.